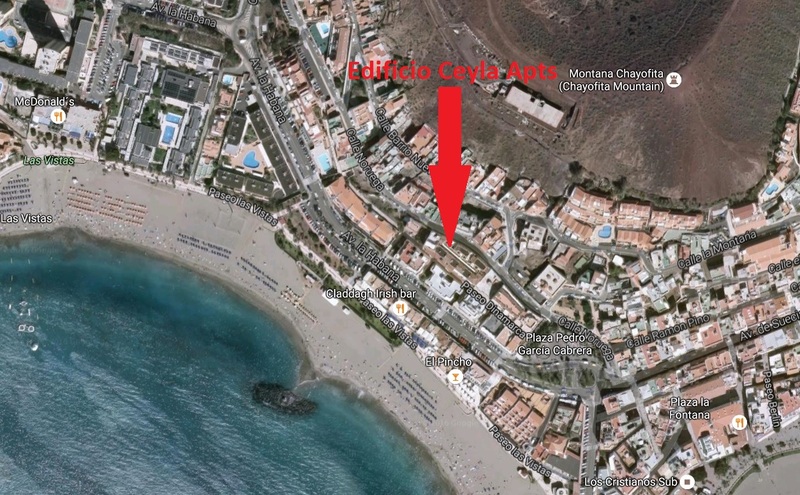 Edificio Ceyla Apts, Los Cristianos. Fully furnished One Bedroom Apartment located in los cristianos at couple of minutes walk from las vistas beach in los cristianos. The Apartment is on ground floor with a pathway and Steps leading to the beach. The building has 2 entrances one wheelchair friendly and one for fast access to Playa Las Vistas Beach and the popular San Telmo area with high recommended bars and restaurants. There is a small supermarket just in front of one of the entrances and the large Mercadona supermarket is only 5 minutes walk away. One fully furnished Bedroom Apartment located in Los Cristianos at couple of minutes walk from Playa Las Vistas Beach in Los Cristianos. The Apartment is on ground floor with a pathway leading to the beach. 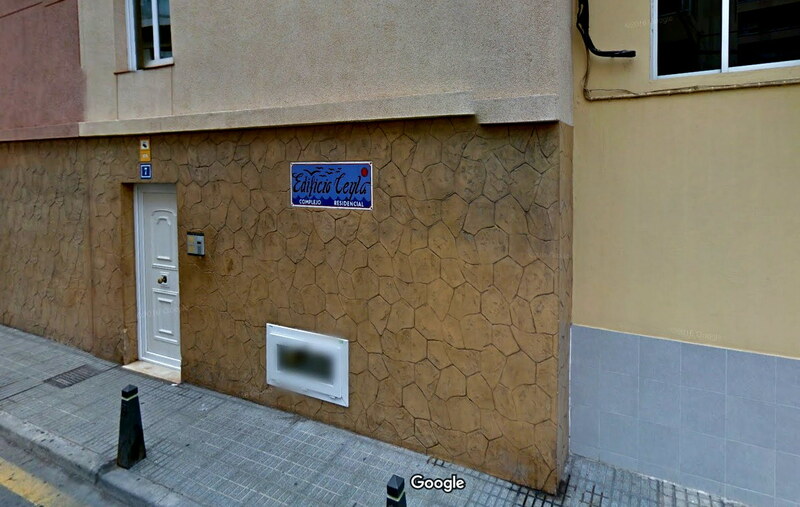 The building has 2 entrances one wheelchair friendly and one for fast access to Playa Las Vistas Beach and the popular San Telmo area with high recommended bars and restaurants. There is a small supermarket just in front of one of the entrances and the large Mercadona supermarket is only 5 minutes walk away. 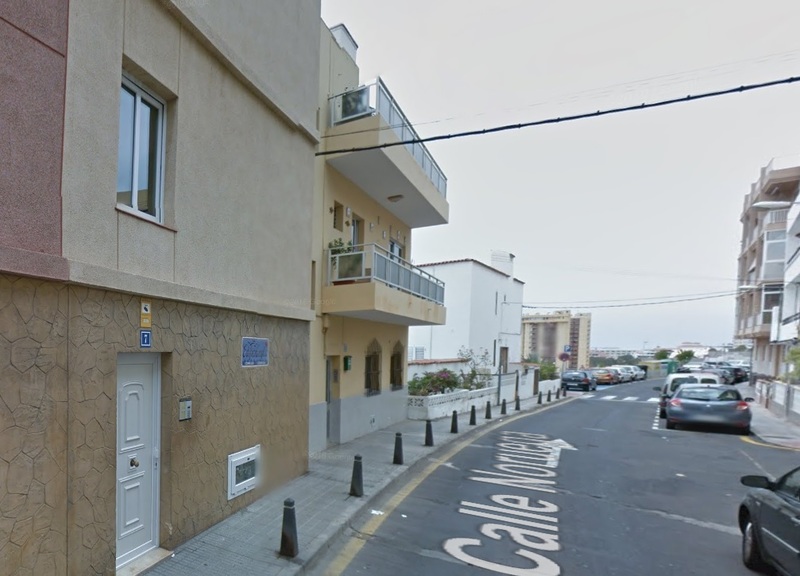 The building has 2 access, one from Calle Noruega 7 (wheelchair access, Lift Down to Ground Floor) and one from Paseo Dinamarca that is facing the beach. Sorry No View of the Beach but you are very near. The Bedroom has a Double bed and a lot of wardrobe space. The bathroom has a Washing Machine, Bath with a connecting Shower, lots of storage space and a large Mirror. The Kitchen is an open plan with Breakfast Bar, Large Fridge, Microwave, Toaster and Kettle etc. and pleanty of kitchen utensils. The living room is very confortable, Big Corner Sofa Bed, 40" Plasma TV and Wi-Fi (Code under Box). As well as a phone line that can call local numbers.